When it comes to body modifications Essential Ink ensures they stay up to date with the latest trends and artwork styles. 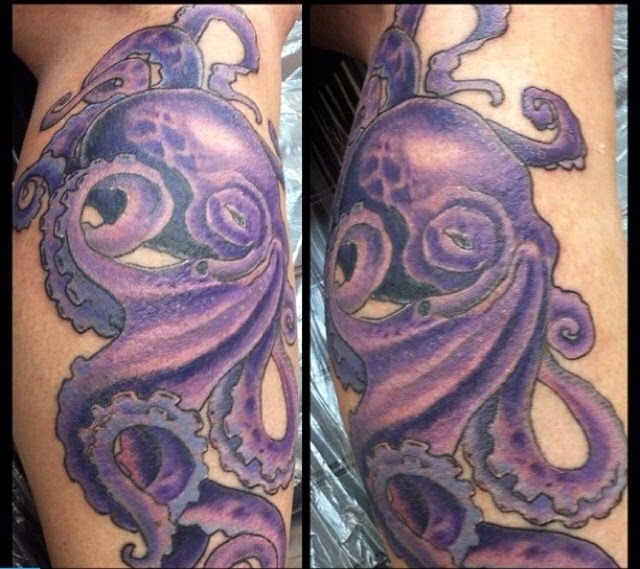 Currently, Octopi are infiltrating the art scene and can be found all over the World Wide Web as well as in tattoo studios everywhere. 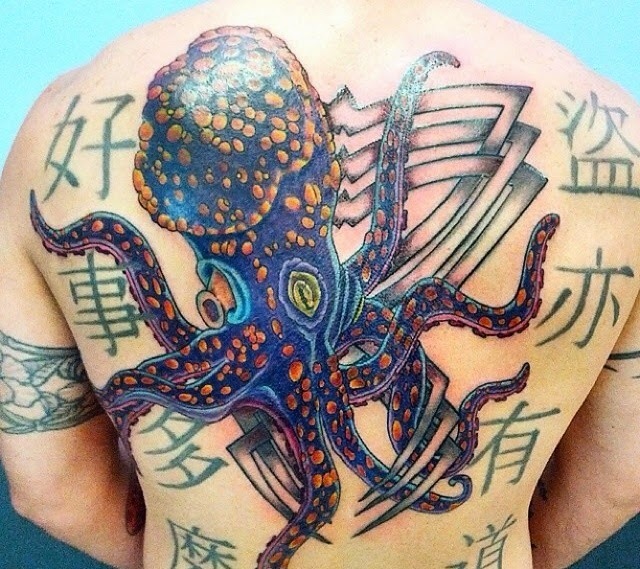 You might say Octopi are the latest in tattoo trends. These sea animals are very elegant, beautiful creatures that often signify intelligence, diversity, mystery, patience and strength. Ornamental octopus medallions were once worn by seamen to ward of evil. 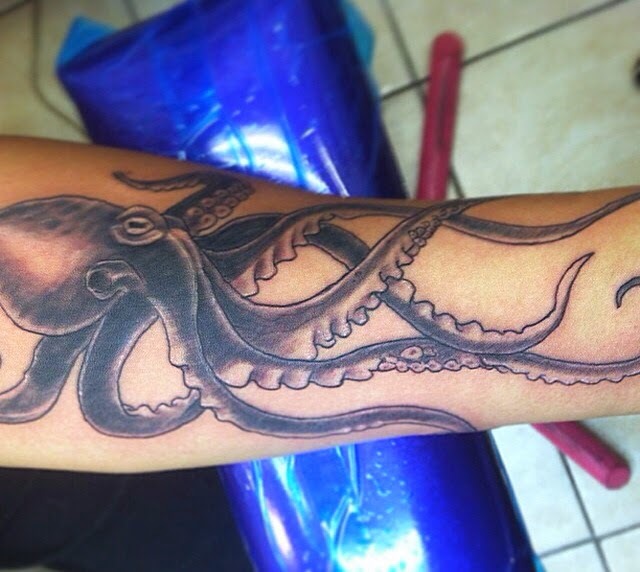 So the meaning behind a tattoo of an Octopus goes much deeper than what meets the eye. As with many tattoos, each holds a personal significance behind the actual art. It is up to the tattoo artist to help convey this meaning and essentially give the individual a forever piece of meaningful, wearable artwork. Octopi can be any shape, size or color. They can also be made into any style including cartooned, realistic, cutesy, detailed, any way you like. These animals are great for your first tattoo or for a cover-up because they can be done so large. They can be tattooed alone or as part of a supporting tattoo.They can be drawn up to fit virtually any body part or space and because of the color saturation, are ideal for cover-ups. 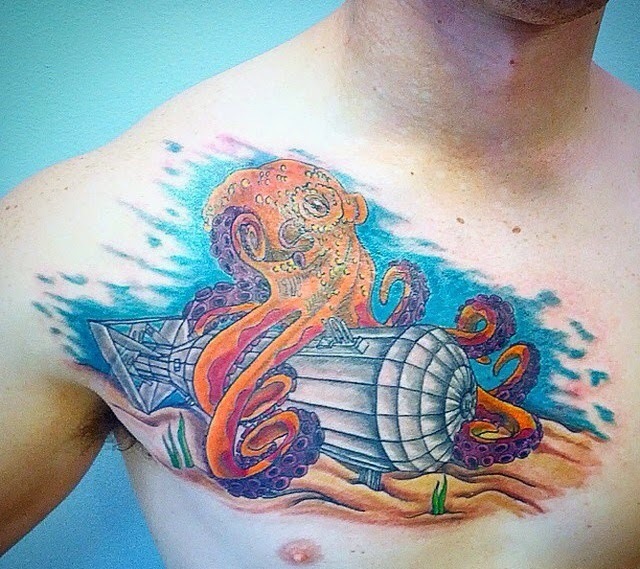 Check out some examples of recent pieces done by the talented artists at Essential Ink. Then stop by to talk to an artist about your next piece, and it doesn’t have to be an octopus!